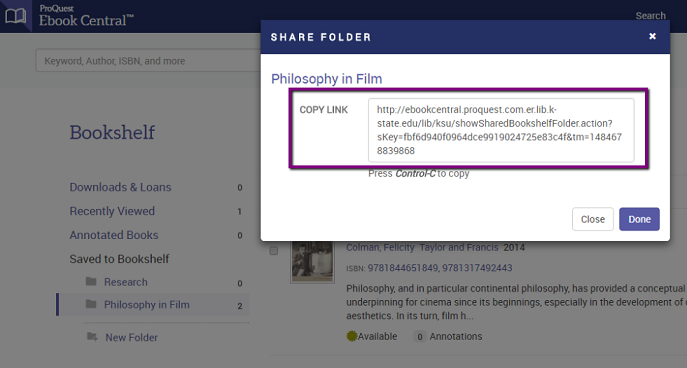 In Ebook Central, a permalink is referred to as a Link. 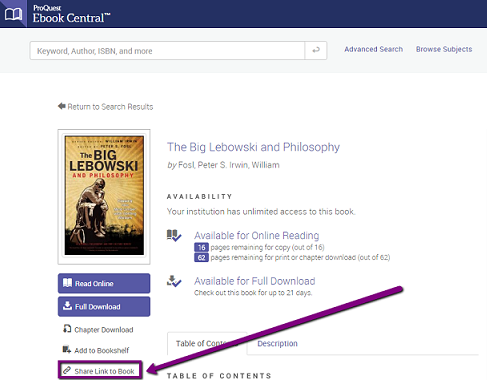 To locate the Link for an ebook, click the title of the ebook and then a new page will open. 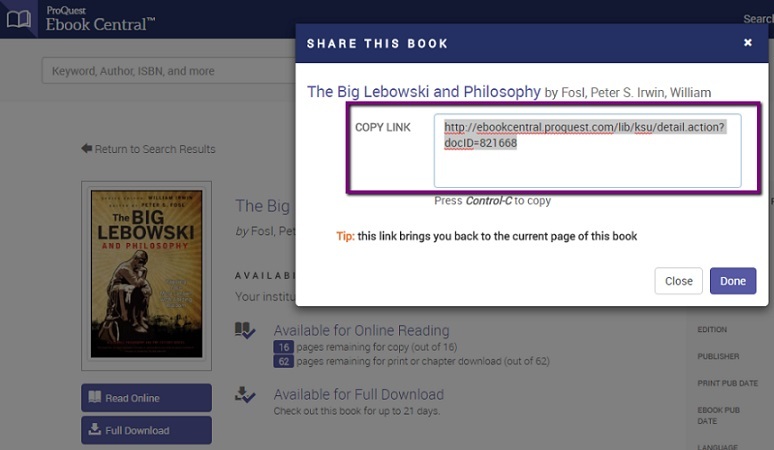 Click on "Share Link to Book." A window will open with the Link. 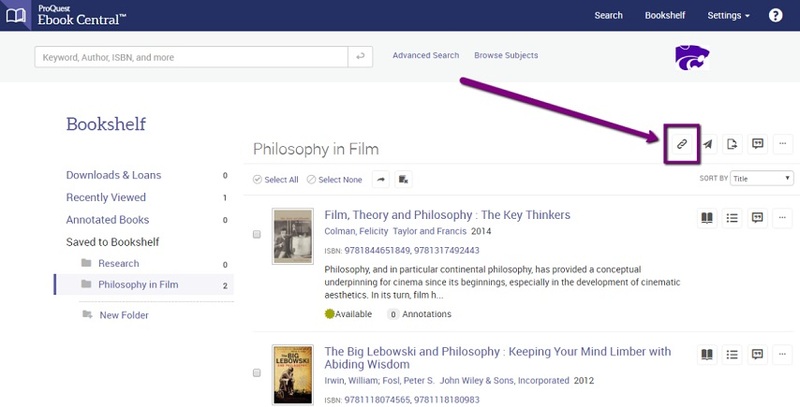 To locate a Link to one of your bookshelves, click on the title of the bookshelf. Then click on the chain icon.